Coleraine clinched back-to-back wins for the first time in four months by beating Institute at Ballycastle Road. Ruairi Harkin provided the pass for Ian Parkhill's close-range finish in the 15th minute but Jamie Dunn's looping header levelled three minutes later. Jamie McGonigle swivelled and fired past Marty Gallagher on 26 minutes and then added his second with a sweet left-foot finish. 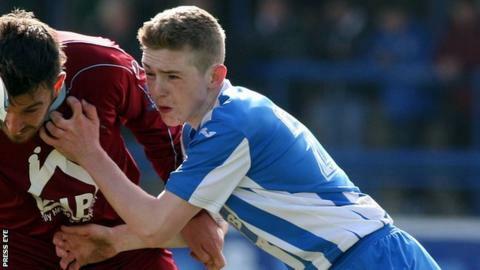 Coleraine finish eighth with Institute nine points adrift at the bottom.